A local landmark, The Great Northern Hotel is The North Shore’s most popular meeting place. 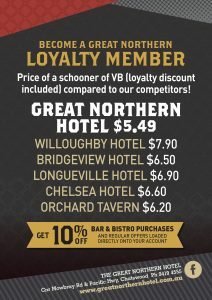 Magnificently renovated and open 7 days for lunch and dinner, the Great Northern Hotel offers exceptional dining and entertainment facilities. A warm, wood-panelled interior complements our restaurant’s outstanding menu and friendly service. In winter, recline in an antique chesterfield lounge by the open fire, while in summer you can relax with friends in the spacious garden courtyard over an icy cold beer. Whether it’s a quick drink after work, a lazy Sunday afternoon family lunch, or a night out with friends that you’re looking for, The Great Northern has the atmosphere and reputation to deliver. Open Monday to Saturday until midnight (and 10pm on Sundays), we invite you to try us now – you won’t be disappointed. Set in beautiful surroundings, enjoying a drink at the Great Northern is an experience like no other. With a wide variety of local and imported beers, try a fresh schooner on tap or select from our comprehensive range of bottled beers. Our wine list features a wide selection of quality Australian vintages to suit any budget, or for something different sample our wine of the month. Of course, we also have an extensive range of spirits, shooters, pre-mixed and non-alcoholic beverages. 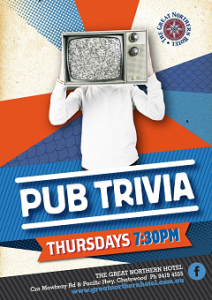 While a drink on its own in a sensational atmosphere is enough for most, those wanting something more should take advantage of our four pool tables (pool competition Thursday nights with prizes totalling over $200), or perhaps a Saturday bet in our fantastic Pub-Tab facilities may appeal. 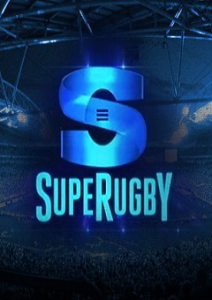 Of course, with 56 TV screens (including super screens in the public bar), the Great Northern is the ideal venue to catch all the upcoming sporting action. There’s nothing quite like great food, friendly service and a fantastic atmosphere. Open for lunch and dinner 7 days, The Great Northern Hotel is the perfect place to enjoy a delicious cook-your-own steak, or try something from our extensive a-la-carte menu featuring weekly blackboard specials and kids meals. 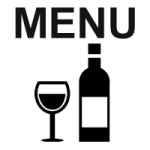 Quality produce freshly prepared by our experienced chefs and served in generous helpings are complemented by our comprehensive wine list. Dine outdoors in the tranquil surroundings of our beergarden, or retreat to the warm intimacy of our dining area. The brasserie is reminiscent of yesteryear, with Western Australian jarrah table-tops and detailed wood-panelled walls. A roaring open sandstone fireplace will ensure you lose yourself dining in an atmosphere like no other. Many of our menu classics remain, with the addition of home-made pizzas and steaks available from the kitchen. 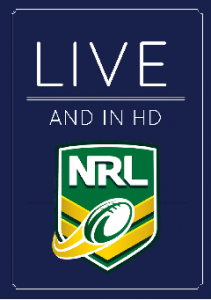 To ensure your table we recommend you book early for groups of four or more, on (02) 9419 4555. 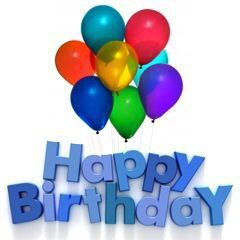 For larger bookings over 30 people, visit our Functions page now. Tea and coffee are served at all times. 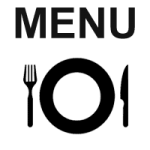 Please click on the icons below to download a PDF of the new dining and wine menu. The Great Northern caters for a wide variety of corporate and social functions, from trivia nights and Christmas parties to birthdays and farewells. Set in intimate wood-paneling, the Hotel features an open sandstone fireplace, walls covered in detailed local memorabilia, and an incredible atmosphere. The Great Northern is one of the North Shore’s most popular meeting places, and functions can be held in many areas of the Hotel. The Hotel includes a sensational bistro, two bars, four pool tables, an outstanding garden courtyard, drive-in bottle shop, TAB facilities and super size plasma screens. The function facilities are available day or night. 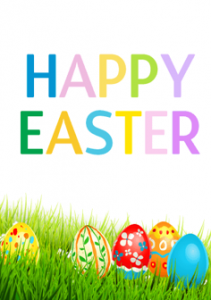 Good Friday 12pm – 10pm Bistro open lunch and dinner $5 spirits and Live music from 7pm! 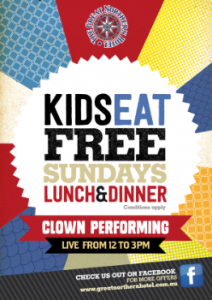 Saturday 11am – Midnight Sunday 11am – 10pm Kids eat free lunch and dinner Monday 11am – 11pm Bistro open for lunch and dinner! 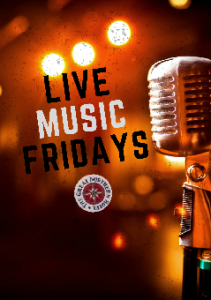 We have a rotation of artists including Mark Travers, Jimmy Bear, Jonathan Lee Jones and Luke Coleman playing regularly on various Friday nights throughout the year. 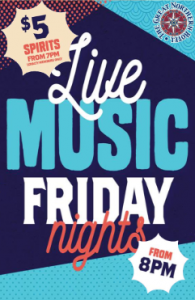 Check with the Hotel to find out who is playing and enjoy classic covers from some of Sydney’s best solo artists, from 8pm until late. Kings poker kicks off at 7pm in the Lounge Bar. 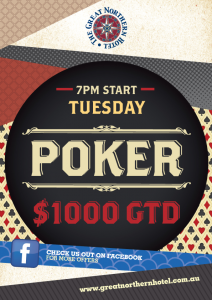 6.30pm registration, $1000 guarantee. Numbers are limited to be early – restaurant opens at 5.30pm and meals can be eaten anywhere in the hotel. call 9419 4555 for more details. POKER WILL NOT BE TAKING PLACE ON MELBOURNE CUP DAY. 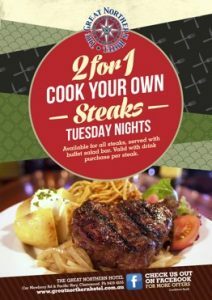 2 for 1 Cook Your Own Steaks Tuesday nights. Served with salad bar, available with purchase of 2 drinks from the bar. Eye fillet, Rump, Sirloin or Rib Eye. Multiple terminals including self serve Ezybets. Touchscreen. Huge screens and surround sound. 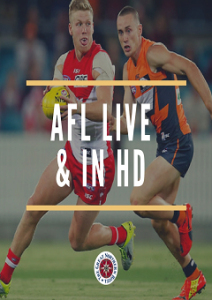 Free sausage sizzle and finer food available. 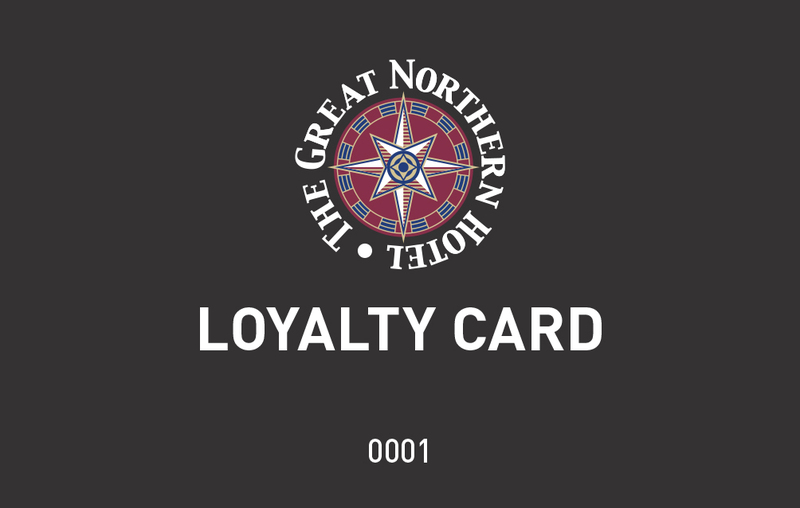 The Great Northern Loyalty Card is available for purchase for $10. Benefits include $10 credit for every $100 spent, with no limit. Applies to bar and bistro purchases only. Additional promotions and giveaways throughout the year. Conditions apply to every offer. 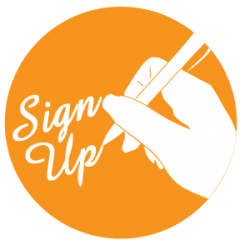 Sign up today to effectively get 10% off your next shout at the bar! 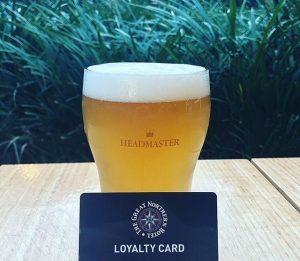 Sign up a friend to the Loyalty Program and we’ll shout you a schooner of your favourite beer or a glass of your favourite wine. 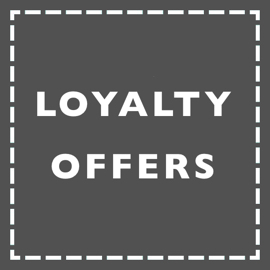 Watch this space for more great Loyalty Card holder offers !!! New Bottleshop Now Open – entry from highway end of driveway. Bigger range, new self service coolroom, and great prices and specials. Great value, fast and friendly service, convenient location, easy layout and great range, it's why the drive in bottleshop at The Great Northern Hotel is so popular. 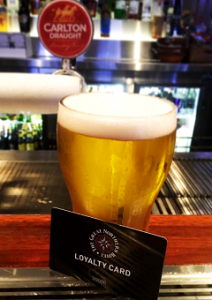 An extensive and competitively priced range of beer, wine, champagne, spirits and mixed drinks is complemented by great value weekly beer specials. 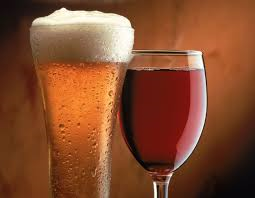 We offer discounts on bulk wine purchases and can order any alcohol on request. Visit us today and check out our premium wine range.